The revised Safety of Life at Sea (SOLAS) container weight verification requirement is a significant change in the ocean cargo supply chain. Also known as the Verified Gross Mass (VGM) requirement, the International Maritime Organization (IMO) regulation is scheduled to go to effect on July 1, 2016, leaving the industry with little time to adapt. As a result of the quick implementation timeframe, many exporters are concerned that compliance might disrupt trade. Still, the requirement is not new and has been under development for a number of years following a milestone vessel collapse in 2007. This incident, coupled with multiple smaller events, prompted a call to action to reduce the likelihood of capsizing, spillage, supply chain disruptions, loss of equipment, environmental harm and other safety hazards. 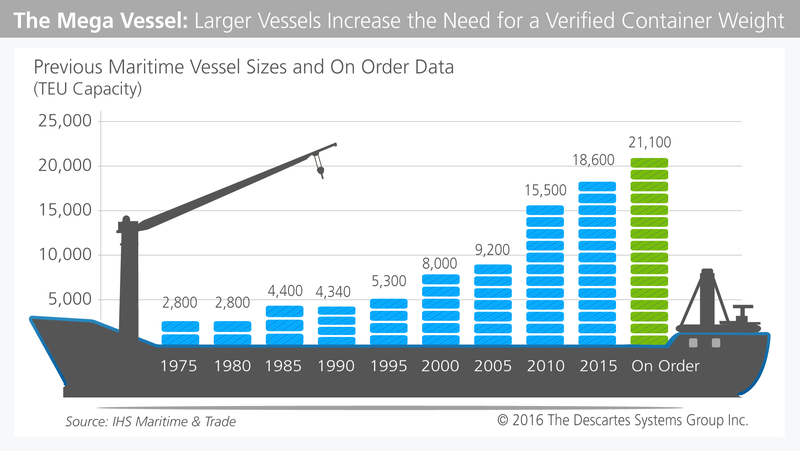 Exponential increases in vessel size have compounded the urgency for a VGM due to the scale of potential damage. Ports, which are already at high capacity as a result of the profusion of larger vessels, may face further bottlenecks to ensure that containers have been weighed. Non-compliant items may be turned away, which could increase congestion and add a layer of complexity to once streamlined processes. In regard to rolling out the regulation in practice, multiple considerations remain depending on the type of cargo and other factors. 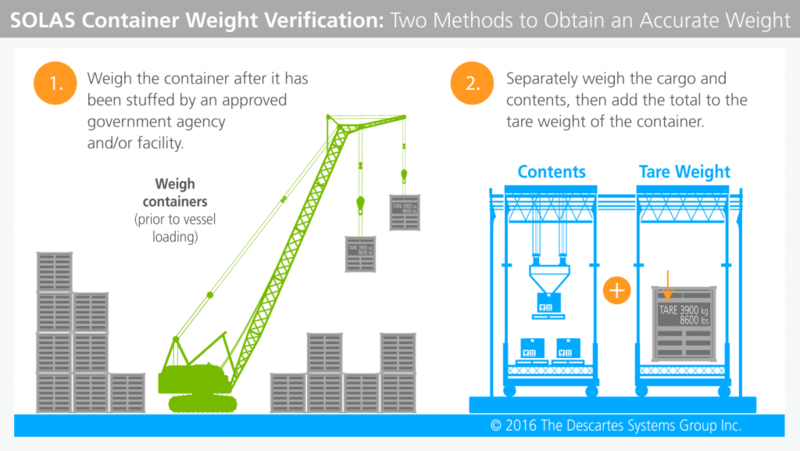 Many of the situation-dependent aspects of the SOLAS Container Weight Verification requirement are still to be determined. For example, with 171 countries and 3 associate members as IMO participants, there will be variations in calibration and variance acceptability. Some countries already have container weighing mandates in place but, for many other locations, the responsibility is new. Also, since VGM is both commercial and national, not only must shippers comply, but countries must also empower agencies to monitor compliance. The IMO will not assess penalties since any fines would be levied at the national-level. Ocean trade often prompts visual images of physical containers, vessels and ports. However, in today’s information-driven supply chain, data often flows in parallel with the passage of freight. A typical ocean cargo dataflow includes the shipper, carrier, terminal and the vessel. Each of these supply chain participants may use various protocols, Enterprise Resource Planning (ERP) or Transportation Management (TM) systems, and information may be transmitted at different times. Weight data must be received by terminal operators well ahead of loading to allow time for creating stowage plans. The regulation calls for the collection of weight information using one of two methods: weighing the stuffed container or adding the total of the contents to a container’s tare weight. Shippers – It is the shipper who ultimately bears the responsibility for a VGM. This requirement is further defined as the shipper noted on the Bill of Lading (BOL). Since this may also be a forwarder or Non-vessel Operating Common Carrier (NVOCC), agreements that clearly define which party is responsible and under what scenarios should be established. Shippers must also ensure that the information contained within ERP, TM, and other operational systems is accurate and that the data can be transferred to carriers, forwarders and others. Exporters should note that weighing is not necessarily carried out at the port and that containers may be turned away without a VGM. Forwarders/NVOCCs – Like shippers, forwarders/NVOCCs should implement clear agreements, indemnity clauses or waivers when tendering cargo on behalf of exporters. Leading forwarders/NVOCCs are modifying standard agreement language to clarify any uncertainty. Forwarders/NVOCCs also need to ensure that the technology used is capable of capturing the required data and communicating the information to the carrier. Finally, forwarders/NVOCCs should establish internal procedures and identify facilities that can weigh cargo as a fallback method when required. Carriers – Many carriers are raising awareness of the pending regulation. They are also ensuring that a VGM is received from forwarders/NVOCCs and shippers as part of a shipping document. This may include the booking request, shipping instruction, or a separate message called Verification of Mass (VERMAS) possibly from a certified weighing facility. Carriers are also confirming that all message protocols, such as Electronic Data Interchange for Administration, Commerce and Transport (EDIFACT) and American National Standards Institute (ANSI) x12, have been updated to allow for the receipt and transmission of VGM data. Technology can help connect shippers, Forwarders/NVOCCs, carriers and others to the information they need. Solutions that can seamlessly transfer the required data with the least amount of disruptions to current processes are needed to ensure that the ocean supply chain is not slowed by the onset of the regulation in July. For more information, please visit the SOLAS Container Weight Resource Center. 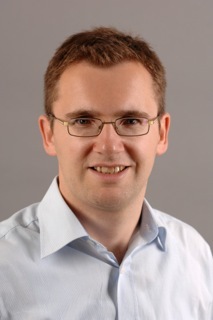 Eric Geerts is Director, Product Management, EU Customs, Ports & Ocean Shipment Services at Descartes. Eric drives product strategy and roadmap for Descartes’ customs and global trade compliance software solutions. Prior to joining Descartes in 2010, Eric worked for Porthus as product manager for its customs compliance and port/ocean applications, helping the company and its customers in the go live of different European customs systems, as well as ocean carrier and port connectivity services. Over the last 10 years, Eric has built significant experience in maritime logistics and customs compliance software, electronic messaging and more. Eric has a Master’s degree in commercial engineering with a specialization in IT management from the University of Antwerp, Belgium.